2 months already? I already feel like my baby has grown up. Ok, I might be a little dramatic. But look at him! Jude was never tiny to begin with, but he is now the length of my torso, and it’s both heartbreaking and wonderful. We had his 2 month checkup yesterday, and it looks like our boy is finally evening out and isn’t the chunky monkey he was at birth anymore. He’s close to 50th percentile for both height and weight, which might be hard to believe under those chubby cheeks! We changed Jude’s schedule recently, and he’s been sleeping 7 hrs almost every night since! Someone say, “Amen!” With the plan we’re following, his schedule was supposed to shift from eating every 3 hrs to every 4 at 9 weeks, but because of daylight savings time, we decided to move it up a week early so that we didn’t have to confuse the poor guy twice. I felt like he was ready anyway, because he was starting to only eat for about 7 mins when I would feed him and sleep for only about 30 mins during nap time on the old schedule. Now he’s back to his 20-30 min feedings and 1 1/2 hr nap times. I love this new schedule because I have more time in between feedings to actually get some stuff done! With the old schedule, I’d have to plan everything within one hour, and it was like a race. Now I get 1 1/2 – 2 hrs to be out and about, and that definitely makes grocery shopping a little easier. Jude is discovering the world around him, and totally loving it. He recognizes Ryan and me, and gives us lots of smiles, and even laughs daily. His little personality is growing every day, and we love learning who he is. He has found his hands, and tries to stick the entire thing in his mouth and gags himself. Ryan and I laugh at him a lot. Sometimes he startles himself awake from a nap, and then scrunches his eyebrows in confusion. He’s so cute and doesn’t even know it. Yes, I’m that mom. He still enjoys playing on his back, but gets impatient now that he’s learning to hold his head up. We pulled out the Bumbo seat, and he LOVES it because he can see everything around him without being held. Such a happy baby! I went back to work on March 7, and thankfully it was actually a lot easier than I thought it’d be. Didn’t even cry (is there something wrong with me?). It helps that I’m working from about 5:45a-noon at the latest, so I still get half a day with Jude. I had the plan to ease back into working out, but that didn’t really happen as planned. Go ahead and laugh at me; we all knew this would happen. My first day of work, I attended a new class that used heart rate monitors to gauge how hard you’re working. We all know I’m competitive, but competing against myself is the ultimate competition. We had all our numbers on a screen at the front of the room, so everyone was able to see their max heart rate (ps. it’s different for everyone). The monitors divided the heart rate into 3 different zones: blue to symbolize easy work, orange for moderate, and red for hard, or HRmax. Y’all, I was pushing 200bpm. Keep in mind that this is my first day back. I don’t know how to take it easy. I will say, it feels soooooo good to be working out again, and doing REAL workouts. I didn’t realize how much 30 extra pounds and organs stuffed in my lungs really held me back. Thought my cardio endurance would be shot from not exercising for 6 weeks, but I guess in comparison to not being able to breathe just from climbing a staircase, it’s not too bad. Just another perk to working out during pregnancy: your first day back, you’re not as out of shape as you thought you’d be! Overall, this family is doing well at month 2. We’re feeling like we have a routine down for the most part, and we have a super smiley baby. So very blessed. We are looking forward to celebrating the resurrection of our Jesus on Easter Sunday! Let me encourage you to take some time over the next week to reflect on how Christ’s defeat of death has impacted your life. What a life-changing victory. How in the world has it already been a month since our sweet boy was born? Talk about time flying. I love my job, but I am already dreading the day I have to leave my little man and head back to work. The past 4 weeks have been a whirlwind. The first week and a half I really just felt like a zombie (sorry to those of you who visited us during that time frame). It’s like running a marathon and then never sleeping. Haha. BUT we think we have really turned a corner over the past 2 weeks, and Jude is sleeping 4 1/2 hrs straight at night, then another 3 hrs after feeding him! People have told me that I’m lucky to have such a good baby, but y’all, let’s be real. We worked hard to get that 4 1/2 hrs. If you are a parent, you know what I’m talking about. At 2 weeks we started Jude on an eating/sleeping schedule. The first couple of days were pretty rough, and Jude was really mad at us during the day for not letting him sleep alllllll day long like he was before. But we really are a people of routine, and that is true about even the smallest of us. Jude is loving the predictability, and has literally started waking up within 5 mins of his next feeding time (win!). Parents, if you don’t have your baby on a schedule, I highly recommend it. Save your sanity and come back from the dark side of heavy eyelids and feeding time dread. If you want a recommendation on how to get started, please contact me! I’d love to tell you about what worked for us. Of course, every baby is different, so something else might work for you better, but it’s worth a try! On this schedule, we are on track for a full night’s sleep (6+ hrs) in just another month or so! Mainly, the schedule enables me to actually enjoy Jude, instead of dreading him waking or feeding him all the time. That is a game changer. I only did the feeding every 2 hrs (even through the night) for 2 weeks, but I thought I was going to lose my mind. On another note, this day is super fun for me because I tried on some regular jeans today and they FIT! Celebration up in here. That moment was so sweet for me, after all the times I chose chicken and veggies over Chick-Fil-A, and worked out even harder on the days I didn’t feel like doing it at all. Especially towards the end of pregnancy, I had no motivation. I felt the size of a whale, and nothing was comfortable (not even laying down). There was no motivation to make healthy choices because there was no result to be seen anywhere! But I did it because I knew it was good for me, not because I wanted to look good. Different mindset there. There’s also an aspect of discipline that is healthy to practice even if there is no reward (I’m not just talking about physical exercise). On my own, my self-control is a joke. With Christ, I’m able to do more than I could even imagine doing. It sounds silly to use such a deep truth for the application of deciding to put a brownie down, but for me in that last month, it was everything. I love how we have stepped into Lent right after I have recovered mentally, and for the most part, physically from childbirth. I now struggle with the inability to exercise. 6 weeks off is a long time for someone who usually wouldn’t take 3 days off! God is teaching me an entirely different aspect of self-control this season, as I’m not able to do anything in my power to control lots of areas in my life. Most obviously, physically, as I have to wait for my doctor’s “ok” before I can exercise again. But also in my daily schedule and in caring for another person. My life is completely turned around. It actually makes me laugh that it now takes me half the day to get ready, as I shower during one nap, get dressed and do my hair during another, and maybe eat some food somewhere in there. Leaving the house is a joke… I’m pretty sure I’m just going to be 30 mins late forever. Or at least as long as my child’s meals are dependent on my body. Caring for Jude blows my mind. I honestly can’t believe how much I love him, and Ryan has said the same thing. It’s amazing to see into his little life already, and recognize personality traits and characteristics that make him human. Does that sound crazy? I just get these waves of wonder sometimes that I am caring for a human being… a soul that God created and loves, and Lord willing, this soul will one day grow to love Him as well. Such a gift. This season, I’m learning to let go of my idea of control. Self control is not the same as will power. I can try to will my way through being a mom, and just because of my type A personality, I could probably do a pretty good job at it. But inside, I would be a mess. I already feel like a mess even when I’m actively surrendering my will to Christ! I literally sit up at 3a when my baby is crying, praying over his heart, mind, and soul, asking God to bring him peace and to be his refuge and safe haven. I know of nothing else that could be better for this baby than God Himself, so I surrender his life to Him, out loud, when I’m weak, as well as in those rare moments when I feel like I’ve got all my stuff together (PG version). I want to learn this Lenten season in the depths of my soul that HE is life, that He gives life, and that He is trustworthy to sustain our lives. I’m praying the same for you as well. May you see, feel, hear, experience Him this season. Ps. Our kid is a giant. What the heck?! As you can probably imagine, Ryan and I are both head over heals for this cutie, and I still can’t believe we get to keep him! Truly the greatest gift our family could receive. I’ve been advised to write down the birth story before I forget everything that happened, so below that is what you’ll find. I will warn you (especially if you’re a guy) that some of the details you may or may not want to read (childbirth is not for the faint of heart). Proceed with caution.. you have been warned! No one (not even my doctor) thought I would make it all the way to my due date, but I did! Thursday morning, January 14 I had an OB checkup, and found that I was still only 1 1/2 cm dilated and about 85% effaced. I asked my doc to strip my membranes to try to get things going, because after a certain point they have to induce you (because the placenta becomes too mature and stops producing nutrients for the baby after about 41 weeks). That day we scheduled my induction for the following Monday, but I was determined to get this baby out of me before that day came (I did not think I could handle 4 more days with him inside of me!). We went home, and that afternoon I put on a podcast and walked the halls of our apartment building for about 45 mins. By the end of that podcast, I was starting to get a really bad stomach ache (ps. I went poo like 7 times that day… the body is weird…. I’m just glad I didn’t poop on the doctor or nurses while pushing during labor). About an hour later (at 6p) I started having contractions, but wasn’t sure if that’s what they were because I realized that no one had ever told me what they felt like! FYI, super early contractions just feel like menstrual cramps. We started timing them, and once they became consistent between 5 and 7 mins apart, we packed up our toiletries and gave the hospital a call. Once we got to the hospital, we waited around for a while until they had a room and nurse ready for us (which by the way, when you’re having contractions, feels like forever). Once in the room they checked me, and a few hours later decided that they weren’t going to send me home because my contractions sped up to every 2 to 4 mins. That night was a long one. I labored for 12 hrs with contractions that progressed to 2 mins apart all night long (meaning I didn’t sleep). At 6a the nurse came to check me again, and told me the last thing I wanted to hear: that I was only dilated 3cm. She talked to me about giving me pitocin, and as soon as she said that some women stay in early labor for DAYS, I said yes. There was no way I was about to have contractions every 2 mins for days on end. Nope. It would be different if they were more spread out, but with them being so close together I was not able to get any rest, and was already exhausted from being up all night. The pitocin made the contractions more intense, but spread them out to 5 mins apart, which I thought was a good trade off. The nurse also gave me an IV drug to make me drowsy so that I could sleep in between the contractions, because she was worried about me being too tired by the time pushing came. 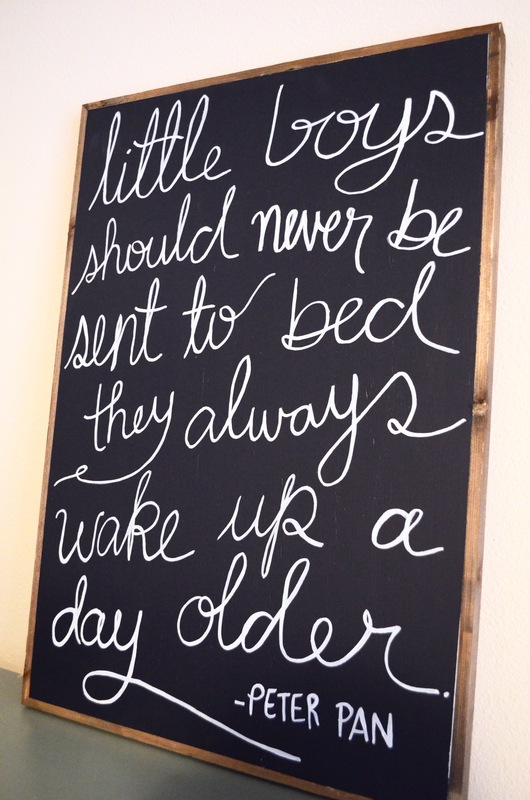 I literally would wake up to a very intense contraction, and then fall back asleep as soon as it was over. Once I was dilated to 7 1/2 cm the contractions became no joke (my water broke when I was 7cm). No more sleeping in between. Word of caution – this is graphic and gross. Skip the next 2 paragraphs if you don’t want to know. Active labor contractions feel like a massive, dry tampon being pulled out slowly over a 90 second period. Yea, ladies. At least that’s what my contractions felt like. That went on for a few hours. At one point I told Ryan and the nurse, “I don’t want to do this anymore.” They both laughed. It got so intense that I started talking to the nurse about the possibility of an epidural. Something to remember: pray to God that you have a good nurse. My nurse was so, so very wonderful, and I really could not have done it without her. She reminded me that my first wish was to try to have this baby without meds. She said that we can definitely do an epidural if I really want it, but in that moment I was speaking out of pain, and she really wanted to honor my first wishes. She told me that I was handling the contractions really well, and she really believes that I can do it. It was her confidence in me that gave me the extra push to hang in there. I asked her, “But how much worse is it going to get?” Her response: “It’s going to get really bad. But I have no doubt you can do this.” That is a good nurse. I’m so glad she didn’t go the easy route for either of us. She helped me breathe through it, and gave me permission to do whatever I needed to do to release the pain. She told me at one point, “Girl, if you need to yell, go ahead and do it.” Haha. There was so much freedom being cared for by her, and I’m so thankful God placed her in my room. Some people told me that pushing is the worst part of labor. Not for me. The contractions were by far the worst. Once pushing comes, you really can’t think about anything else. It’s almost like the concentration of the contraction distracts you from the pain of it. Pushing is pretty exhausting. I only pushed for about 20 mins, and by the end of it I felt lightheaded. Ladies – start working out now, and don’t stop during pregnancy unless you doctor tells you to! You’re going to need the training in endurance, breathing, and efficiency of effort and energy exerted. My doctor had me push 4 times per contraction. During the pushing, you have to hold your breath as she counts to 10… you then have about 5 seconds to take another deep breath, and then back to pushing. You have to give your everything every time, which is why it’s so tiring. By the 4th push I felt like I didn’t have anything left to give! I already gave it all to you, lady! Ryan was my saving grace in the last 5 mins. There’s a part of me that thought to myself that he’s never going to come out, and I’m just going to be doing this forever (I know, irrational, but remember that I was in the worst pain of my life and I hadn’t slept all night). One of the last pushes Ryan said, “I can see his black hair! He has black hair!” What a trooper. Ryan watched the whole thing, and cheered me on the whole time. It was his words made me decide, “Ok, I can do this. I’m getting this baby out now.” A few more pushes and he was here! Ps. You feel the shoulders, too. Not just the head… it’s the shoulders, too. Our kid came out superman-ing. One arm up in the air by his head (as if his head wasn’t big enough… he had to stick the hand out, too). As soon as he came out there was a sudden relief, and Ryan and I both started crying. Such an overwhelming feeling to see and hear your son, and realize that this was all worthwhile. Some people say you forget about the pain of labor as soon as you see your child. Not true. I still remember that pain. Worst pain of my life. But would I do it all over again to have him? Absolutely. Here’s another paragraph you might not want to read if you don’t like nasty stuff. Because my kid was SO huge (8lb 9oz), I tore pretty badly, so the doctor had to sew me up. Now, because I didn’t have an epidural, I felt that mess. Yes, I did. My doctor told me while she was sewing me up that this was one part people who have epidurals never think about, because they don’t feel a thing. I saw the needle.. it looks like a fishhook…… and it feels like a fishhook. Good thing they gave me my baby so I could just stare at him and love on him while trying to distract myself from the stitches. And let’s be real, he is so stinking adorable. I still can’t take my eyes off our sweet Jude-bug, and can’t believe just a couple weeks ago he was living inside of me! He already has the funniest personality, and is totally chill (I think he’s going to be a lot like daddy). We can’t believe this little blessing. Such grace. We made it to 39 weeks! It’s crazy and kind of sad to think that my last post was 10 weeks ago (sorry, y’all). Life has been full in every kind of way, and I finally feel like I’ve crossed the finish line, while at the same time crossing the start of a new beginning. The past few months have held holiday celebrations (Thanksgiving with my family in MO and Christmas with Ryan’s here in Houston), many, many CARES events, my belly growing beyond what I can comprehend, of course, work, another trip to the ER for a kidney infection (thanks to this child sitting so low and flattening my bladder so much that it’s prone to infection), and now, we arrive at the end of pregnancy, awaiting the birth of this precious baby. 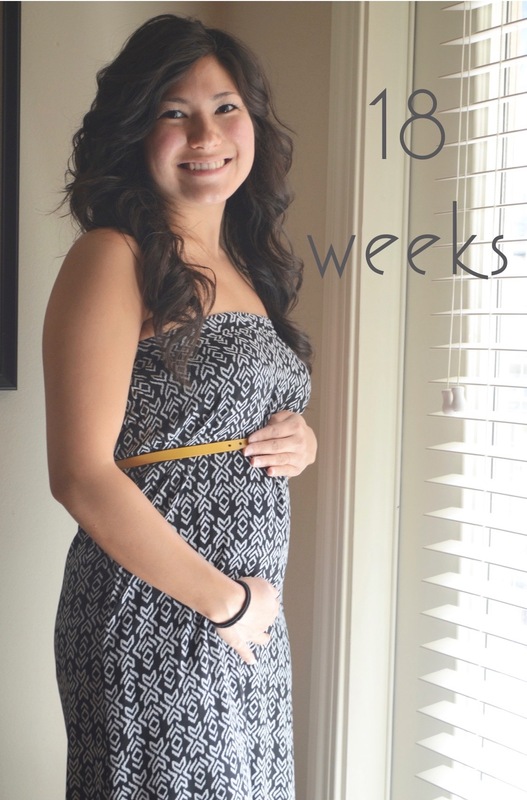 I’ve been reflecting on my experience being pregnant, and savoring each moment I have left. If I’m honest, I’m going to miss this little bug being inside of me. I really cherish secrets and not everyone knowing my business all the time, and I feel like this baby and I share a secret that no one else has been invited into just yet. I feel him move throughout the day, and it reminds me of the miraculous wonder of God’s creation. I have had nothing to do with the growth of this now 7lb baby, and yet, I had the gift of sharing the joy of our Creator by witnessing first hand my son being intricately knit together. It truly is a gift, and I think a lot of women miss out on that because we’re so focused on the not-so-fun parts of pregnancy, namely the way it affects our bodies and minds. Truly, I have enjoyed being pregnant, and I thank God for a very uncomplicated journey; even the little gifts like not really experiencing much morning sickness. I am careful to tell people that I have enjoyed it because I know a lot of people have pretty miserable experiences, and I don’t want to disregard their struggle in any way. But as I sit and wait for labor to draw near, I can’t help but have some bittersweet feelings about the fact that this little secret of ours will be over. I am beyond thrilled to share him with all of you, but I have definitely enjoyed this one-on-one gift the Lord has granted me. We had an appointment yesterday, and though I’m only dilating 1 1/2 cm, I am 85% effaced, so the Dr. isn’t very worried about the baby not coming on his own. He’s been sitting very low for a long time, and his head and shoulders are in place and ready to go. He’s really just waiting on my body to take the lead, now! We’re hoping that he comes after this weekend, but before his due date… all for selfish reasons. :) We’re throwing an event tonight for CARES, and tomorrow night we have a friend’s birthday party. I personally want him to come before his due date so that I don’t have to push out an 8lb baby. Pray for that with me? I can’t wait til the next update, which will (please, Lord) be the introduction of our baby boy! Thanks for walking this road with me, and I look forward to sharing this joy with you! Maternity Clothes? : Full on. I’m actually mostly wearing Ryan’s tshirts because not a whole lot else covers my belly! Stretch Marks: Sort of, in a weird way. Just last week my belly started getting really itchy around my belly button, and I noticed some pull on my skin. I’ve been moisturizing multiple times a day just to keep the itch away! Baby is out of room! Sleep: Still sleeping hard, but waking up to go to the bathroom about 5 times a night. Best Moment of This Week: Finishing the baby’s room! Woohoo! Miss Anything: I really do miss the simple things of having a normal body, like sitting in a chair the regular way, pulling my knees to my chest, sleeping on my stomach, not having to move (no matter what position) every 5 mins. Movement: His moves have slowed down. Still consistent, but is more like stretching now than squirming or kicking. Like I said, kid’s out of room. Food Cravings: Nothing in particular. Still a little of everything I have craved throughout the pregnancy, but not as severe or often. Anything Making You Queasy or Sick: I’m cramping a bunch. Kinda like menstrual cramps, but the kind that make you feel a little nauseous. It’s like the beginning of pregnancy again! Have You Started to Show Yet? : Ha. You should hear people’s comments. Happy or Moody Most of the Time? : I feel fine, but I have lost my filter. Now everyone just knows all the things I’m thinking, whereas before I held some things back. 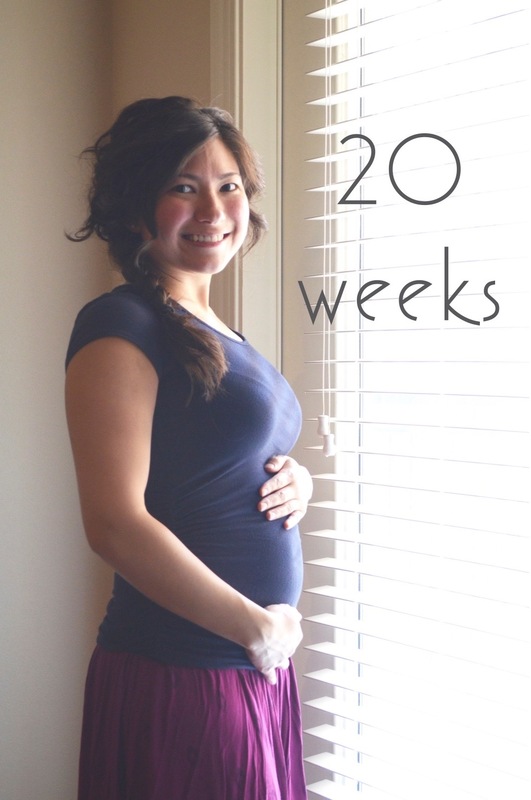 Looking Forward To: Holding our baby and feeling all his movements from the outside! Speaking of long commitments, Ryan and I officially became a CARES Team at the end of January, and threw our first event in February. CARES has been a huge part of our lives, and has become a large part of who we are. God has done amazing things in us personally, and again has stretched us beyond what we ever thought we could handle. As a team we throw 3 events a month for the residents of our apartment community, as well as welcome new residents and check in on those who’ve been living in the building for a while. We act as an extension of the management, and our goal is to connect with residents in a way that the staff just don’t have the capacity to. Our first year with CARES has been an absolute gift, and we could not be more grateful for what God has done both in us and in our community. We’ve been able to build friendships with people we would have never encountered otherwise, and love how those relationships have grown. God is so good. Pray that we would do our job well, and that the Lord would use us to bring hope and a sense of belonging in lives of those who have none through our being present. In April, we received another gift and found out we are pregnant! This news was such indescribable joy, and Ryan and I cherished this secret life, thanking God for his good gift. We were able to tell Ryan’s family on Mother’s Day, and then my family during a visit to Florida at the end of May. Everyone was so ecstatic, and could barely contain their excitement! We made them wait until June to share publicly, and I think we almost had a few family members explode during that time. 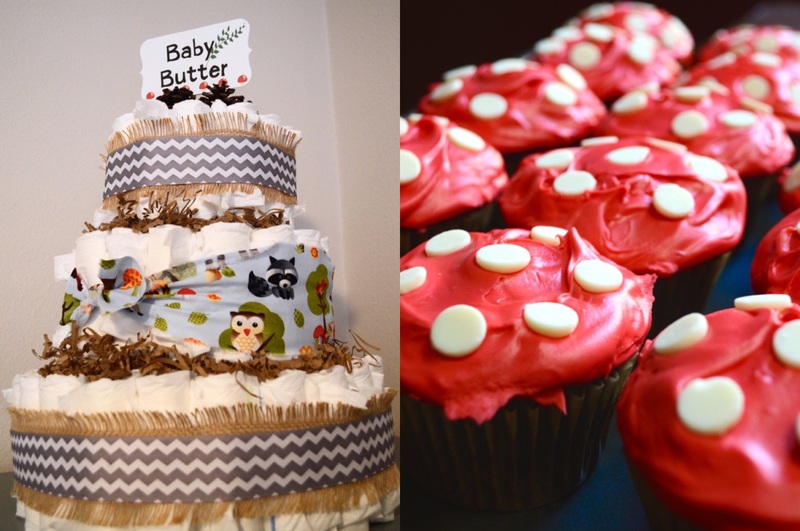 In the beginning of September we had a party to reveal that the baby is a boy! Now as we await the arrival of our son, we anticipate how much our lives will change for the good. I’m due on January 14, so we will hopefully have an update soon about that baby! In July we got to go back to Destin, our family’s tradition with Ryan’s side, and my parents and some siblings were able to join us for part of the trip! Now that my parents and little brother live in Orlando, it worked out to where they could come stay with us for a few days. We had lots of fun as always, but I sadly had to pass up some awesome boogie boarding days since I was still in the first trimester (not a good idea to go tumbling off a board with that current). That didn’t hold any of us back from some great volleyball tournaments, though. We always enjoy that vacation, and it is a great break right in the middle of the year. In September we celebrated Living Water International’s 25th anniversary, and Ryan’s 3rd anniversary with the organization. Ryan is in the IT department, and has recently had the opportunity to expand his knowledge and explore some network administration within his duties. That is by far his favorite part of the job. I am especially proud of him as a wife, as everyone I meet at LWI is very quick to tell me how much they love him, and how helpful and friendly he always is. Love that. This fall we celebrated 4 years of marriage, and are so thankful for all we have learned and experienced together! We have been on countless adventures, and are no doubt about to enter the greatest one yet as we become parents! 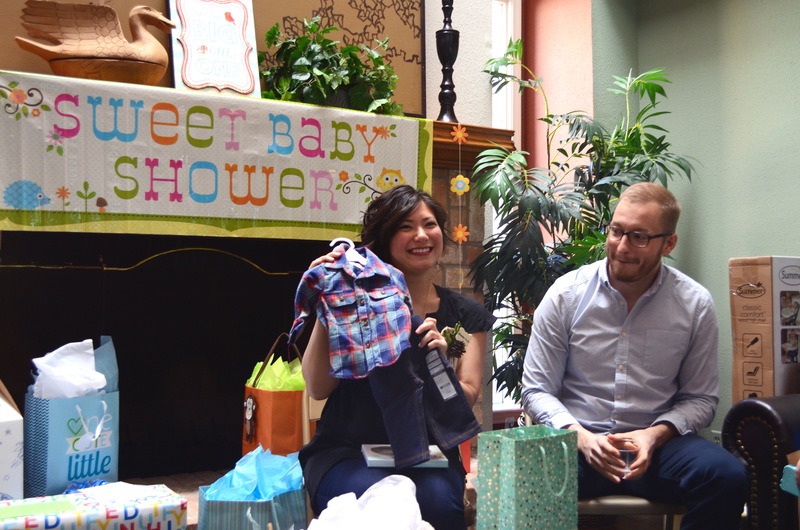 We can hardly believe this gift entrusted to us, and can’t wait to meet our boy. As you reflect on 2015 may you recall the good gifts the Lord has lavished upon you, and may you find thankfulness and joy overflowing from within. Let us encourage each other toward Him, and learn of His faithfulness as we walk through life. Live fully and love deeply! 29 weeks | last stretch! So many people have told me that pregnancy will fly for everyone but me. Well, I’m here to say that it has gone faster than I can blink! Every week I just think to myself, “How in the world are we already at [enter week]?” A couple weeks ago I officially entered the third trimester, and that about gave me a heart attack. I also saw a post that was reminding everyone that the Houston Marathon is just 12 weeks away. 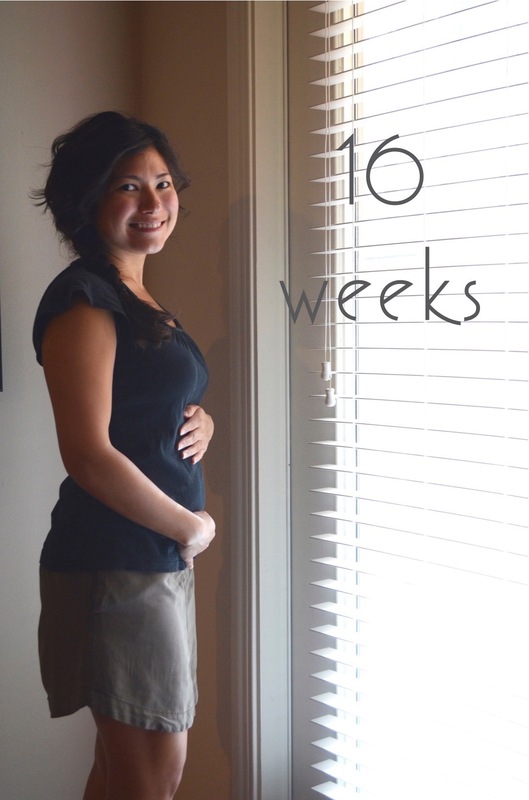 That race is 1 week after my due date… that means we have 11 weeks to go before this baby comes! That just seems unreal. 2 1/2 more months. I’m also aware that 2 of those weeks are holiday weeks (Thanksgiving and Christmas), so I’m trying to stay ahead of the game as far as preparation goes, since those weeks will be out of the picture in terms of getting stuff done. The biggest challenge I’ve faced is being mentally and spiritually prepared. Shocker, right? I feel that as a natural do-er, I lean towards getting all the “stuff” done, and often neglect my spiritual and emotional well-being. It seems God is always reminding me to slow down and rest in Him, and it seems I’m always fighting to believe that spending significant time reading/studying etc is not wasting time. Anyone else struggle with that? I know you’re not supposed to actually admit that as a Christian, but that is my battle, almost every day. It was before I was pregnant, and I know it won’t magically disappear once this baby comes. I need to often recite scripture to myself to remind myself that time with Him is more valuable than an entire day of crossing items off my to-do list. It’s not just with God, though. I do the same with people. I literally have to consciously remember that time spent with people is worth while… many times worth more than all the stuff I need to do. I am the worst at initiating hang-outs, and if I’m honest, I don’t even think about it majority of the time. I think a lot about things…. I like being “productive” and “accomplishing tasks”. When I do hang out with people, I am making a point to be and enjoy the things that really matter, while letting all the stuff sit for a while longer. I know it’s worth it, but it’s work! I’m so thankful for the people in my life that know this and love me anyway. They also are good about initiating hang outs because they know I am terrible at it. I so appreciate that. What’s the biggest challenge you face in your life when you get cluttered with whatever it is in your world? What do you do to combat that? One relevant thing I’ve done is decided it’s ok that my posts are becoming less and less. If I can invest in real relationships over having a new post on time every other week, I’ll take it. That’s a hard choice for me (that might seem silly), but it’s something I know is so very worth it, and I won’t regret later on. 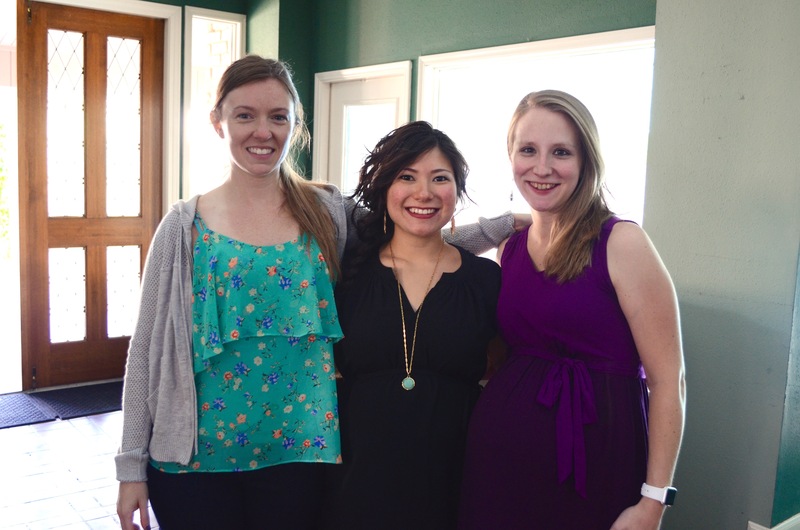 A couple weeks ago, my sis-in-law threw us a baby shower with the help of my lifelong friend, Jenna. 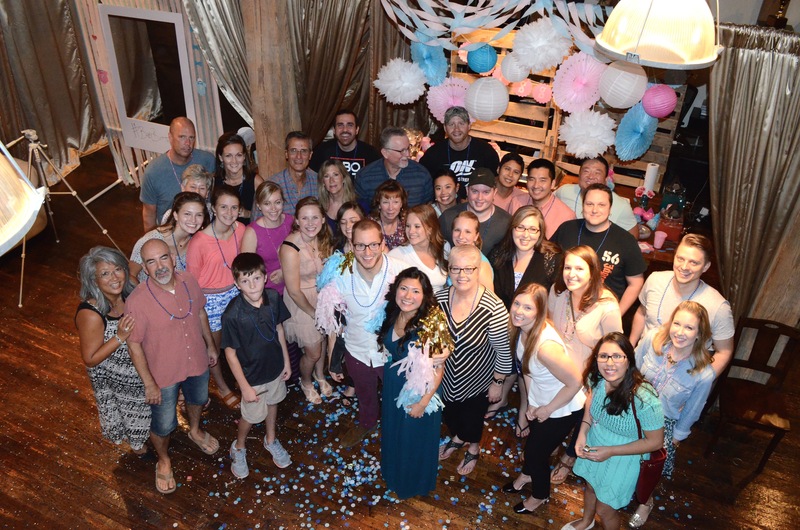 They did such a wonderful job, and we are so thankful for everyone who made it to the shower and prayed over us! It also relieved so much for me mentally, as my overwhelming list of things we need for the baby before he comes was cut down drastically. We’re now getting the last major things together, which includes a dresser so I can have a place to put his endless piles of tiny clothes! I’ll definitely post pictures once it’s all ready. Can’t promise that will be very soon, though. His room is a mess. how adorable is this hanging art that Micah from Blue Giraffe Art Works made for me?? Sleep: I sleep hard, but it’s difficult falling asleep. I feel like I’ve inherited some sort of restless leg syndrome. Best Moment of This Week: We’re celebrating our anniversary early, and we went to see Peter Pan 360 yesterday! Really wonderful show. We were so blown away by it! Miss Anything: Just feeling like a normal person in general. Also looking forward to sleeping on my back and stomach again. Movement: Constantly. He likes to squirm more than kick now. And I’m pretty sure I’m going to have bruised ribs by the end of this pregnancy. Anything Making You Queasy or Sick: I started taking an iron supplement, which I think is giving me a stomach ache every once in a while. Nothing too bad, though. Have You Started to Show Yet? : It’s all out there. Happy or Moody Most of the Time? : Mostly happy. Just don’t make jokes about how I’ve really “let myself go” when it’s 5:45a. Not funny anytime, especially that early. Looking Forward To: Meeting this squirmy little guy! 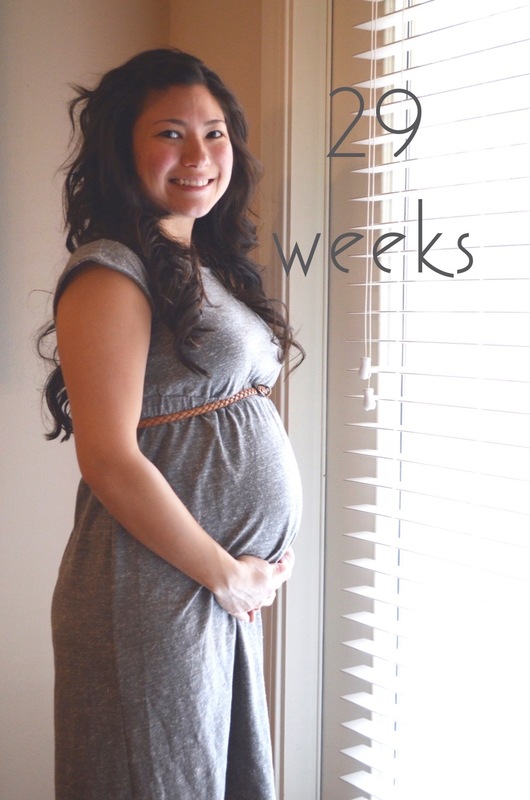 week 25 | it’s a….!!! Well, if you haven’t yet followed my update on Facebook or Instagram like 4 weeks ago, here’s the official news! We are so ecstatic about this little guy, and are super thrilled to meet him! He still remains nameless, as choosing a name for your kid is a lot harder than it would seem. You can be praying that his name becomes clear soon! It’s been a while since I’ve updated, which kinda testifies to my crazy schedule lately. 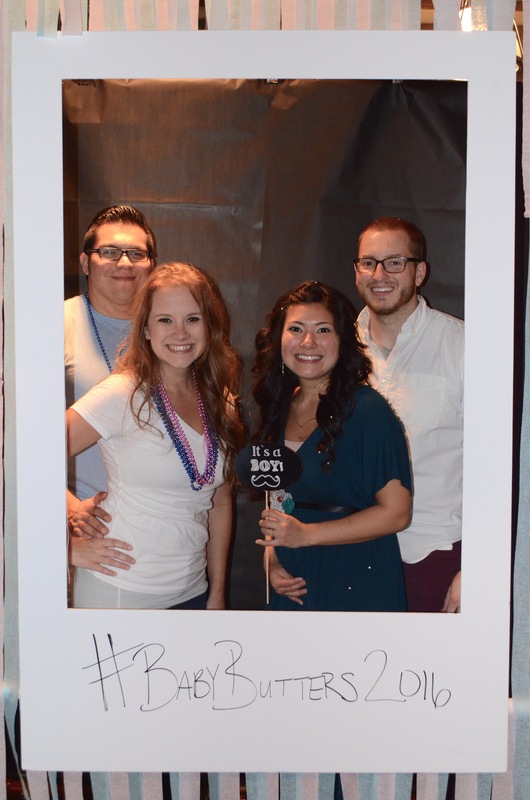 BUT, I want to share with you some photos from our super fun gender reveal party! 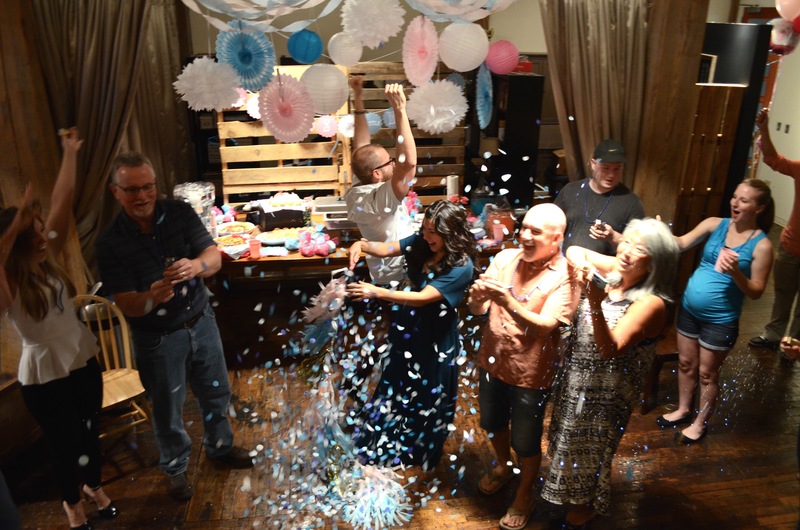 Side note: it’s kind of hilarious when you tell anyone over 40 about your gender reveal party. That just wasn’t a thing before our generation, and most of our parents didn’t even find out whether they were having a boy or girl until delivery day. I’ve received lots of strange looks, confused comments, and some amazingly funny remarks concerning our party. One sweet lady asked me if I’m throwing a party to celebrate Caitlyn Jenner. This lady was like 70. I was impressed that she made that kind of association. People asked me after the reveal if I was shocked. Honestly, not so much. I had a feeling the entire time that it was a boy, and there was really no way for me to feel that way. I just knew! It was such an exciting moment, but not surprising. :) Ryan, on the other hand, straight up ran away from me immediately after popping the confetti balloon and pranced around the room, ending on the floor making snow angels in the blue sea of paper. You could say he was a little surprised. It was so fun to be able to have my parents in town for that weekend! We don’t get to see each other often since they live in Florida, and I really do wish I could share more of my pregnancy with all my family members. It was such a gift that they were able to fly in for the weekend, and we had a great time helping them soak in as much of Houston as they could during their short visit. My mom is making plans to stay with us for a couple weeks after the baby comes, which really gives this daughter a form of comfort entering a whole new phase of life. Since that party we’ve had another appointment, and babe is growing right on track! He is super active, and literally kicks me at least once every hour of the day. That anterior placenta thing is supposed to make his kicks more subtle, which kinda scares me with how not-subtle he has been. My favorite times with him are early in the morning, right when I wake up (which is about 4:45/5a since I’m usually at the gym by 5:45). He’s most active at that time, and I feel connected to him in the quietness of the morning as I just lay and feel him move around. I do hope this doesn’t mean he’s a morning person, though I am enjoying it right now. Sleep: It’s off and on. Some nights great, some not so great. The earlier I go to bed, the better. Best Moment of This Week: Honestly? Sleeping til 8a on Sunday. Haha. 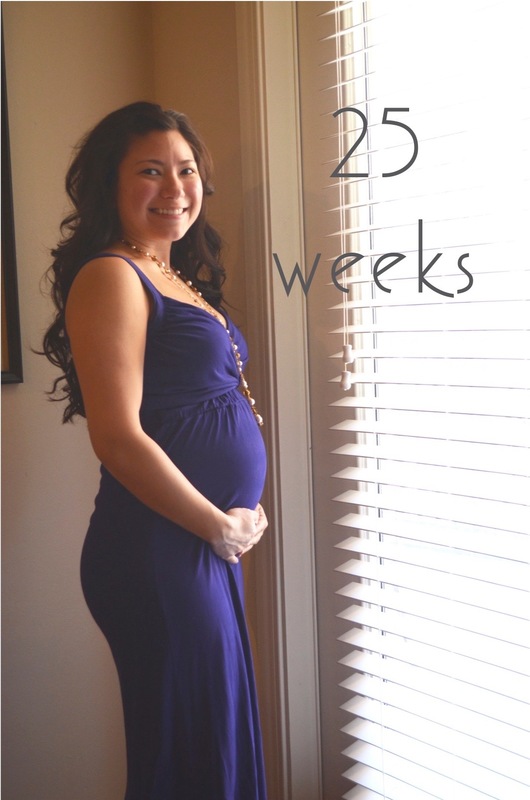 Miss Anything: My pre-pregnant body. Go ahead a judge me. I feel like a sumo wrestler. I’ll stomp on you. Movement: Oh yes. He especially likes to kick my bladder (thanks, kid). Food Cravings: Fall breads (pumpkin, banana, pecan). But let’s be real… that always happens around this time of year. Anything Making You Queasy or Sick: Not really! Have You Started to Show Yet? : Yes. Even people I don’t know now know that I’m pregnant. Which is better than them not being too sure. Happy or Moody Most of the Time? : Mostly happy. Just really tired by noon every day. Looking Forward To: The holidays! I know that’s a little ways away, but I LOVE this time of year! Last week I asked women to send me the most outrageous things that were said to them while pregnant. Some things made me laugh; others left me speechless! Just in case you’re wondering while you read through, none of these things are ok to say to pregnant women, and most are not ok to say to anyone.. man or woman, pregnant or not. A great thing to do would be to never repeat these things in conversation…. ever. ;) Ps. Sorry if I left any out. I think I got everyone’s, but I also forget at least one thing a day, so there’s that. 1. Instead of asking how she’s feeling (she’s been asked that 12 times today), start the convo with, “You’re looking good/great/cute!” Whether she believes you or not, it will help her to know that not everyone sees her as a balloon. 2. Are there any new things that have happened this week? 3. What are you looking forward to the most? 4. I know that stinks… I felt that way too. Sorry about that. 5. How exciting that you’re going to be parents! How can I pray for you/help you? 6. One day I had a client that started our convo out with, “If I say anything offensive or ask a question that you don’t want to answer, just let me know.” The very fact that she said that and acknowledged that there might be something she says or asks that makes me uncomfortable automatically gave me the ability to let my walls down and not be easily offended by any well-meaning but slightly rude comments that might head my way. That was a pleasant surprise! The truth is, most people mean well. Not many people are looking to offend when they say crazy things or ask way too personal of questions. Just remember that not everything is your business, and some people are more private than others. Go into the conversation not expecting her to answer every question you have if she doesn’t want to. And think about how you would take it if someone were to ask you that same question or say that statement. Just be understanding, and know that she’s most likely already working hard to be kind among all those extra hormones. We’re on the same team here! Maternity Clothes? : Some! Most are still too big, but some are working. Sleep: Great, except I’m needing a LOT more of it in order to last the whole day. A nap in between works too. Best Moment of This Week: Just yesterday we had our mid-way ultrasound (what.. we’re halfway?)! We got to see the baby, and they determined the gender! We had them put the results in an envelope, and we’ll find that out in a couple weeks. The technician also had to remeasure the arms, legs and torso because we have a little spazz and it wouldn’t stop moving! Miss Anything: Hmm.. if I do I don’t remember. Still missing my memory, I guess. Lol. Movement: A little every day. I found out at our appt yesterday that I have an anterior placenta, which is totally fine and only means that because the placenta has implanted itself at the front of my abdomen, I won’t be able to feel as many kicks, since it acts as a pillow. Babe is getting some punching bag action. Anything Making You Queasy or Sick: Not this week! Have You Started to Show Yet? : Yep! Gender: There is one human in this world that knows, and she is under lock and key. Happy or Moody Most of the Time? : This week I was definitely moody. I didn’t even want to be around myself. Looking Forward To: Finding out what this lil chunk is! Some people have no problem with this at all, and some people even invite others to touch their bellies. 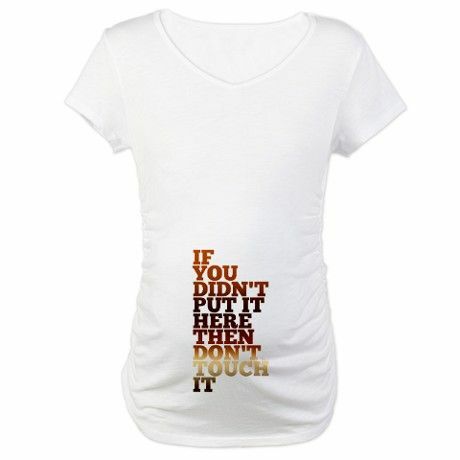 A word of advise to you… unless you are invited, or unless you are the husband, don’t touch. And an invite doesn’t work like this: “Do you mind if I touch your belly?” Ok, got permission. When people ask me that (especially around several other people) I feel obligated to say it’s ok. Often I say no anyway, but it just makes a really awkward situation, and embarrassment to all parties involved. I feel so much less awkward if you are the only one around and you ask for a feel. But when there are other people and you’re all staring at me and touching me, now that is weird. I’m not a museum! Oh, wait a minute, you’re not allowed to touch in museums either! Scratch that. Treat me like a museum! If any of y’all have come up with a good way to ask people to not touch without lying or being rude, please share your wisdom! One article I read said to tell people that you’re feeling sick, and touching it makes it worse. I’m just not ok with lying (people need to know the real reason! ), so those kind of excuses don’t really help. I’m still trying to figure out how to decline without being really offensive or make people feel dumb or invasive for asking. Most people are completely shocked that I would tell them no. Still navigating how to work through that conversation. On the other hand, if you put it there, or if you are invited, go for it! Maternity Clothes? : One friend let me borrow some super cute maternity shorts, and they are the only maternity clothes that fit me right now! So comfortable. It’s probably because she is so much tinier than I am… it worked out for my in between stage! Anyway, rocking those today. Sleep: Ok, y’all. If you’re debating on whether to get one of those C shaped pillows or not, DO IT! DO IT. I didn’t even realize I wasn’t sleeping well until I started sleeping with that thing! Best Moment of This Week: Last Monday (the 3rd) we had another appt and got to hear the heartbeat again! Everything is looking great. Miss Anything: Sleeping on my back & belly. Movement: So, I felt a very unusual sensation in my lower abdomen on Thursday. Hard to explain, but I’ll just say it definitely wasn’t gas. Weirdest feeling ever… and kind of awesome. Food Cravings: Dr. Pepper float with chocolate ice cream. Anything Making You Queasy or Sick: Headaches (they make me nauseous). Which I’ve had a lot of lately. Boo. Gender: We get to find out in a few weeks! Happy or Moody Most of the Time? : Happy except when I have to be outside for any amount of time. Why is it sooo hot in Houston? Like, 104? Really??? Looking Forward To: The Fall!! There’s a lot to update y’all on, and I’ll try to not write a novel about it. We’ve had quite an adventurous weekend! But first, back a couple weeks to week 14, when we heard the heartbeat for the first time! That appointment was one of our favorites so far. Ryan recorded it on a voice memo on his phone, so we’ve been able to listen to it over and over again. It’s a big jump from 8 weeks (our last appt) to 14, and it was such a realization to hear our child’s life inside my belly! During our first ultrasound we didn’t get to hear the heartbeat because the machine was apparently a new model that didn’t have that feature. So hearing our baby’s heart pumping at 149bpm was such a fun experience. Fast forward a couple weeks to last Sunday. We were at 15 1/2 weeks, and just going about a normal Sunday. I was sitting on the couch, and all of a sudden I felt this pain in my back. At first it just felt like a pinch, so I stood up to see if my back needed to crack while I straightened out. I walked into our bedroom, and before I knew it, I was on the floor, unable to get up. I called for Ryan and told him I felt like I was having the worst menstrual pains in my life, except it was all in my back. We waited it out a while until I threw up for a second time, and then Ryan called our OB office. The nurse on duty surveyed me over the phone, and told me I most likely have a UTI, and something with side flank something… yea, I was in too much pain to really understand what she was talking about. She told us to get to the ER, so Ryan grabbed all his stuff and we walked/crawled out the door. By the time we got there I was very dehydrated and they immediately put me on an IV (I remember my lips being so dried out, but unable to drink water). I continued to throw up as the Dr. there was trying to ask me questions. Y’all, I am a pretty private person. I had the hospital gown on, untied in the back, and I literally did not care who saw me naked. I just wanted someone to fix whatever was going on. Keep in mind too that we had no idea what was happening, and we were both really worried about the baby. The Dr. took a look at my back to listen to my breathing, and was surprised at how much my back and left side were bulging out. She kept feeling it and telling me how tight it was (uh.. I know!). After trying to ask me questions which I could not answer through the puke bag, she decided to just get me some medication and come back later to talk. After a low dose of morphine was in my system, it brought my pain level down enough to sit still and have a conversation. They weren’t able to give me enough to make the pain go away, but I was happy for whatever I could get. They then did an ultrasound to check on the baby, and we got to see our sweet little one and rest in the knowledge that it’s perfectly healthy. When Ryan saw it he said, “Look, it’s doing bicycle crunches, and it’s got one hand behind its head!” That made me laugh a bit, and definitely calmed me down. The Dr. said it is very healthy and very active. My results came back with a minor UTI, which our (ER) Dr. said should not cause the bulging, and she was pretty sure I must have strained something. I am not sure I agree with her (sorry) because of a few reasons: I was sitting on the couch when it happened; I exercise regularly and have a considerably strong core and have never hurt my back in any activity or exercise; I hadn’t worked out since the Friday morning before, and it was Sunday afternoon. My mom said it sounded like I had a kidney stone, and after looking up kidney stones during pregnancy and identifying with every single thing people were writing about, I’m also convinced that’s what it was. One mom even wrote that her kidney stone during pregnancy was worse than her labor. After reading so many testimonies, it made me feel a little less like a wimp (a UTI and a back strain?? I was for real getting worried about how in the world I am going to be able to push this thing out of me). That night and next morning were pretty miserable, as they sent me home and told me I could take Tylenol (what??). But thankfully the pain never got worse than it was in the hospital, and mid-morning on Monday it straight up disappeared. I could still feel a pinch in my back, which I’ve been really careful about, but no pain. I’m so thankful for our community of friends who stepped in and took care of us. Because I could not get up for more than 30 seconds without throwing up, Ryan was on 24hr duty taking care of me (sweet man woke up with me every hour through the night). Our friends contacted Ryan and coordinated breakfast, lunch, and dinner for us. We also received very unexpected gifts and were flooded with prayers. I am beyond thankful, and the generosity and love we received from them left me speechless. Also, my husband is the best. I know he was scared out of his mind, but through the whole experience he kept calm and prayed over me and our baby, encouraged me, and took care of all the logistics of going to a hospital like a pro. I could see on his face how hard it was for him to watch me in pain and unable to do anything about it. He is my favorite person and I can’t imagine doing any of this without him. The main thing I learned through this whole situation is a deeper understanding of how our lives are in God’s hands. When I have no idea what is going on inside my body, and I have no control over the protection of my child, I am brought to a place where I have nothing but to trust in God’s goodness. There were times that night when I could not even speak, and all I could think was Jesus’ name. I came to a point where I knew that whether that situation were to turn out good or bad, He is still good, and He has our best good in mind, including our baby’s. That is a hard place to be, but in that moment, my belief in Him grew. I’m thankful to belong to Him, and I’m thankful for even the difficult opportunities to trust Him better. Maternity Clothes? : None yet, but I’m definitely running out of clothes to wear. It’s like I’m too small for maternity clothes, but too big for regular clothes. And I refuse to buy clothes a size up when I know I’m just going to grow out of them in a month! Sleep: Sleeping so well now that I’m not in pain anymore! Best Moment of This Week: Seeing our baby on the ultrasound, healthy and kicking like crazy. Miss Anything: Lifting heavy (during workouts). Movement: Not yet! Supposed to be able to feel something within the next few weeks. Food Cravings: Soup soup soup. Especially Chick-fil-a chicken noodle and Jason’s Deli broccoli cheese. And a nice salad to go with it. Anything Making You Queasy or Sick: Eating even just a little bit too much. I feel like it sits in my throat for the rest of the day. Have You Started to Show Yet? : Oh yea, that babe is letting it all show now. Happy or Moody Most of the Time? : Really happy and energetic this week. No idea where all that energy came from (maybe cuz I’m not on a hospital bed feeling like I’m gonna die). Looking Forward To: Our appointment on Monday! We have another checkup on Monday which should be similar to our last one.